Australian Mines says its has shown its ongoing commitment to the Sconi mine by buying more than 5ha (13 acres) of land in nearby Greenvale. In a statement to the ASX, the company said the land at Greenvale was located just 10km from the Sconi project and its purchase was part of the company’s commitment to establishing a residential workforce based near the mine. 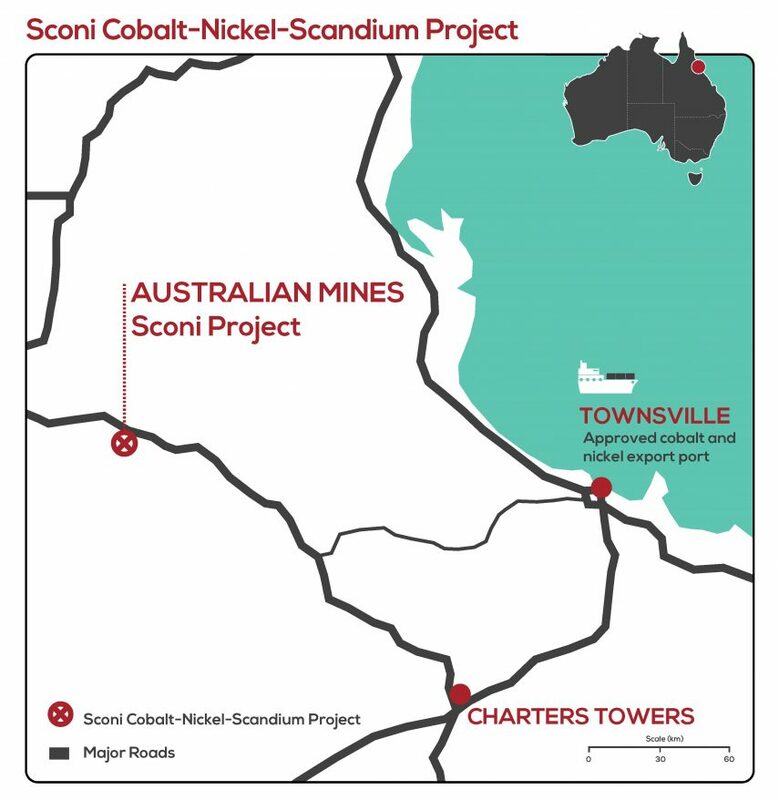 “From the outset of this project, Australian Mines has remained steadfastly committed to the Sconi project operating with a predominantly residential workforce, with minimal use of fly-in fly-out workers,” the company said. “This acquisition of freehold land in Greenvale marks the first tangible example of the company’s commitment towards achieving this objective. Australian Mines expects the Sconi cobalt-nickel-scandium project to create at least 300 full-time jobs over the next 20 years.